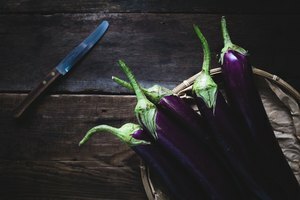 An eggplant can keep for a couple of weeks in your refrigerator, but tends to oxidize and go bad very quickly once its protective purple skin is punctured. 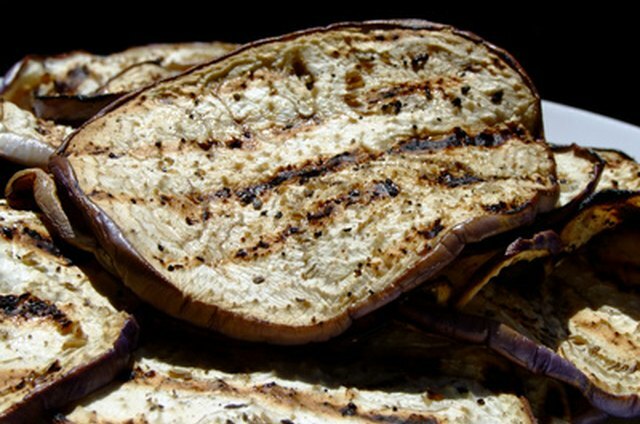 Like apples, cut eggplant will begin to turn brown shortly after being exposed to the air. While this initial discoloration will not affect the taste of the eggplant, it can look unappetizing. Fortunately, you can treat eggplant in a similar way to apples to prevent or delay discoloration. Place your eggplant pieces into a glass container. Drizzle lemon juice over the eggplant pieces. Use enough to coat each eggplant, but not so much that you will end up with a large pool of lemon juice in the bottom of the container. As a rule of thumb, use approximately 2 tbsp. 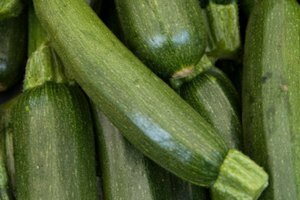 of lemon juice per medium-sized eggplant. Put the lid on the glass container and close securely. 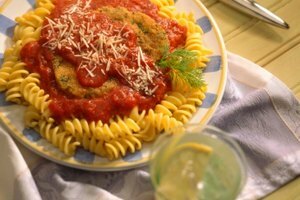 Shake or invert the glass container gently several times to completely coat the eggplant with the lemon juice. 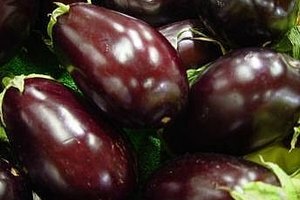 Use the eggplant as soon as possible, but within two to three days at the most. Refrigerate the jar of eggplant if you will not be using it within a few hours. 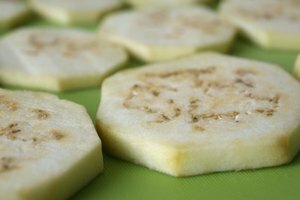 If you will use the eggplant within several hours, sprinkle the pieces with salt along with lemon juice. This will draw out the excess liquid and some of the bitterness in the eggplant.